Designed for ultra high-performance sports cars, the Michelin Pilot Sport PS2 was born of F1 experience. It is the reference tyre for Porsche. Sportiness. The structure and tread design of the Michelin Pilot Sport 2 tyre are directly derived from technology used in Formula 1. Perfect harmony between the chassis and the tyres that allow uncompromising vehicle control, even in spirited drives. 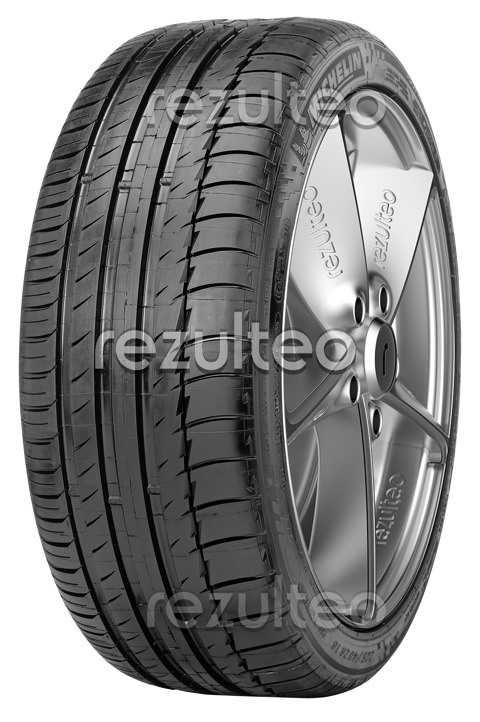 The reference tyre for Porsche: more than one model in two is fitted with it as OEM. The fastest tyre on the market*: the Michelin Pilot Sport 2 beat the world speed record in 2005 on the Bugatti Veyron at more than 400 kph (on closed circuit). Safety. Exceptional traction on acceleration and braking thanks to maximised contact patch. Accurate and direct steering for perfect handling in bends. * on average compared to its main competitors.